We all know that I am the farthest thing from traditional. Farthest. So when I think of Thanksgiving, I can tell you, the first thoughts that do not come to mind would be: cornucopia, hay, wheat, pumpkins, rustic, leaves. While these things are wonderful and lovely and are fabulous things to incorporate into the decor, they are just not me. I think of gold, jewel tones, color, glitz, glam. He broke the mold when he made me, I tell ya. 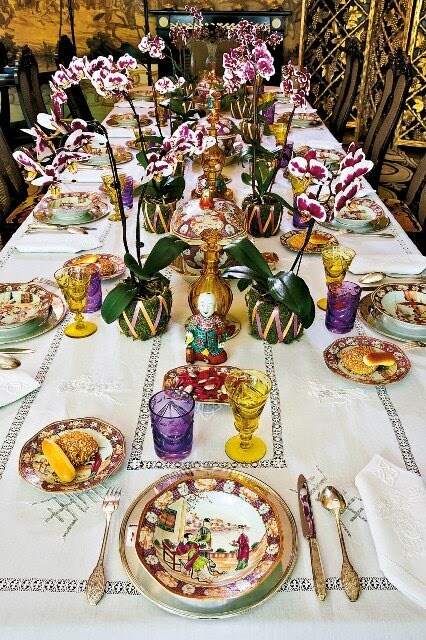 Just look at these gorgeous, yet untraditional Thanksgiving tablescapes. I mean are you with me here? 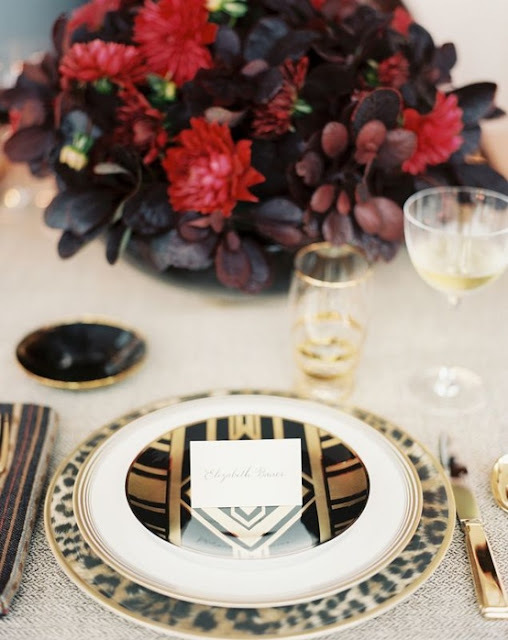 How gorgeous are these place settings,? And yet so unexpected and so unconventional. On this fine election day, here is my proposal for the perfect holiday place setting, as funky, unexpected and lovely as it gets. I totally agree with you! I like a mix of traditional, modern, and funky! Gorgeous tables! I say we have a blogger Thanksgiving at any of the above tables?? That second table is beyond! Love it! Loving these! Just entered your giveaway! I have a little one going on right now too if you want to enter! Wow! I feel like jumping up and setting my table now! Those tables are sooo darling!! I just love that toile tablecloth, too cute!! Love it- I did a super similar post yesterday. You and I are on the same dang page! Love your proposal! 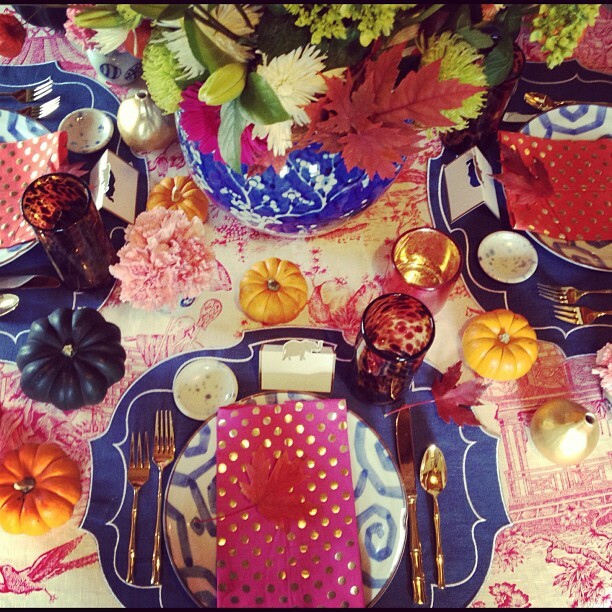 Beautiful tablescapes :) I would totally do this and the rest of my family would look at me like I had lost my mind! Haha oh well...I am dying over the leopard chargers!!! Beautiful table settings, and I'm particularly taken by your table. It's lovely! Yes please to your fabulous plan- I'm with you lady! Gold flatware! Gold flatware!! YUMMM. Love the inspiration tablescapes as well. Alberto Pinto's table is wonderful. By far the best of the three. The second one looks a bit confused to me. The last one is a little blah. The first has ooomph. I like some of the elements you selected there for your inspiration board. I want to come to your S+S Thanksgiving! Stylish & Sleek! 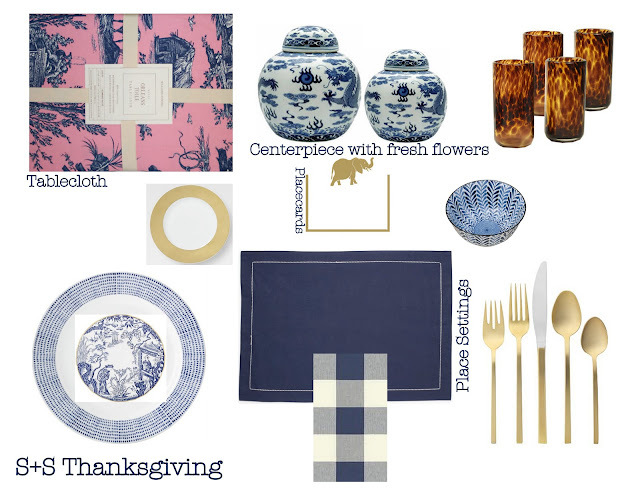 So thankful you shared these amazing tablescapes. I'm gonna try and step outta the box this year as well. Wish me luck :) Cheers! !